This week, we’re joined by Dr. Sharon Rabinovitz of Toco Hills Primary Care, a DeKalb Medical Physicians Group. Dr. Rabinovitz has been working in Family Medicine in the Atlanta area since 1999. She received her Doctor of Medicine degree from Jefferson Medical College in Philadelphia in 1994, followed by the completion of her residency training in Family Medicine at Thomas Jefferson University Hospital. 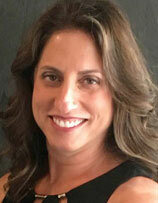 Dr. Rabinovitz is board certified in Family Medicine, recertifying in 2013. Her society memberships include American Academy of Family Physicians , Georgia Academy of Family Physicians (Board Member 2012-present), American Medical Association, Southern College Health Association, and American College Health Association. Her practice interests include Women’s Health, Adolescent Medicine, Mood Disorders, Preventive Medicine, Travel Medicine, and Sports Medicine. When not in the office, Dr. Rabinovitz enjoys time with her two children and exercises (loves Zumba and spending time outdoors).